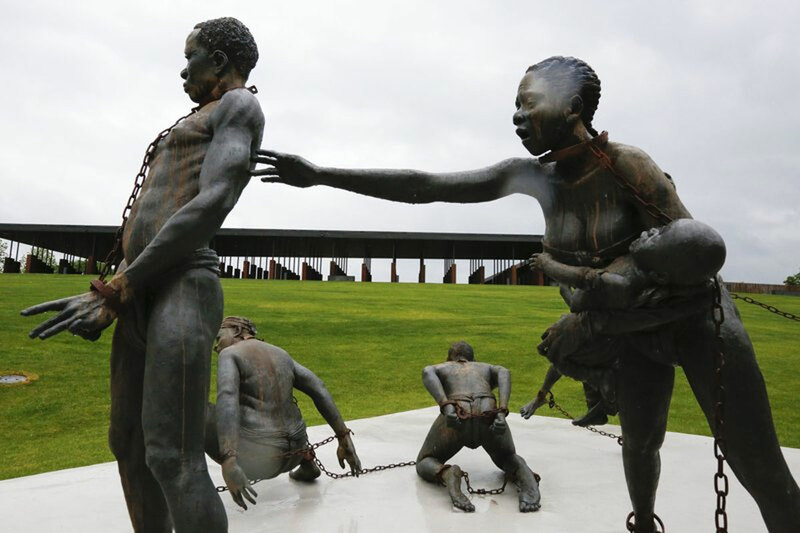 The new museum and memorial frame slavery as part of a greater illness that is white supremacy. The national memorial aims to teach about America’s past in hope of promoting understanding and healing. 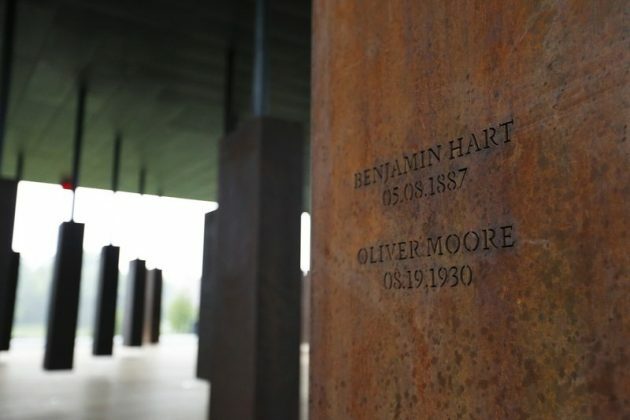 Not only the new lynching memorial in Alabama evokes terror of victims in lynchings between 1877 and 1950, but it is an important comprehensive memorial dedicated to understanding the legacy of slavery and racial inequality in America. 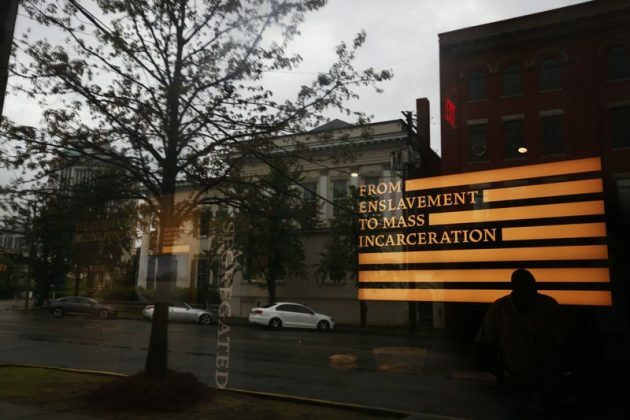 The Legacy Museum: From Enslavement to Mass Incarceration on the site of a former slave pen in Montgomery, Alabama, where black people were once imprisoned before being sold at auction, is an unflinching reminder of America’s racist legacy. Montgomery’s proximity to the fertile Black Belt region, where slave owners amassed large enslaved populations to work the rich soil, elevated Montgomery’s prominence in domestic trafficking, and by 1860, Montgomery was the capital of the domestic slave trade in Alabama, one of the two largest slave-owning states in America. The museum seeks to explore slavery’s legacy. Its founders are looking to change the popular narrative about race and American history by examining the traumas of slavery and their connection to the present. 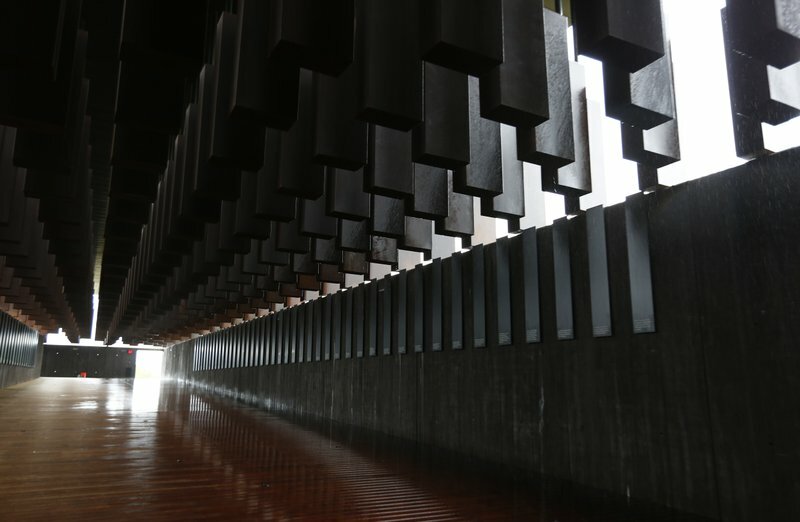 Legacy Museum and the National Memorial for Peace and Justice opened for on April 26 and are are dedicated to showing the tragic horrors inflicted on black Americans in the generations since slavery. Visitors first glimpse them, eerily, in the distance: Brown rectangular slabs, 800 in all, inscribed with the names of more than 4,000 souls who lost their lives in lynchings between 1877 and 1950. 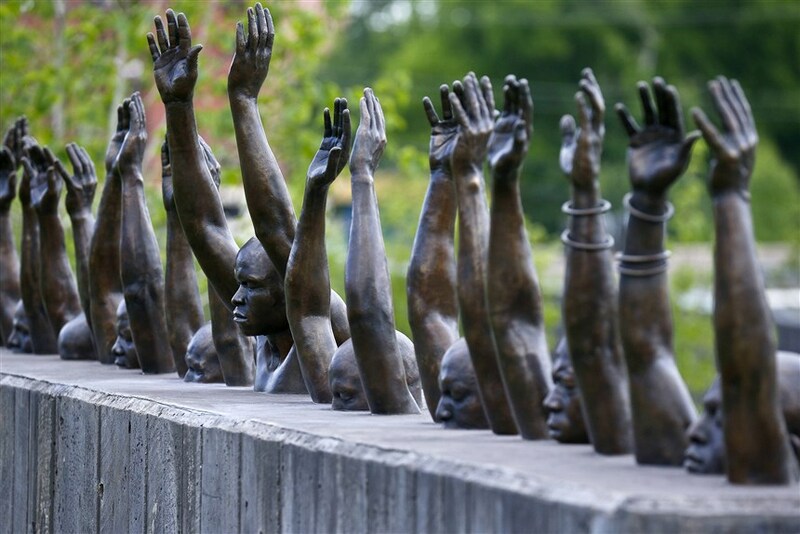 EJI’s Museum and Memorial believes that the history of racial inequality and economic injustice in the United States has created continuing challenges for all Americans, and more must be done to advance our collective goal of equal justice for all. The Legacy Museum employs unique technology to dramatize the enslavement of African Americans, the evolution of racial terror lynchings, legalized racial segregation and racial hierarchy in America. Relying on rarely seen first-person accounts of the domestic slave trade, EJI’s critically acclaimed research materials, videography, exhibits on lynching and recently composed content on segregation, this 11,000-square-foot museum will explore the history of racial inequality and its relationship to a range of contemporary issues from mass incarceration to police violence. Beyond the sculptures are the monuments to those who lost their lives to “racial terror” lynchings after the Civil War. A section of epitaphs gives the brief story behind some the names. 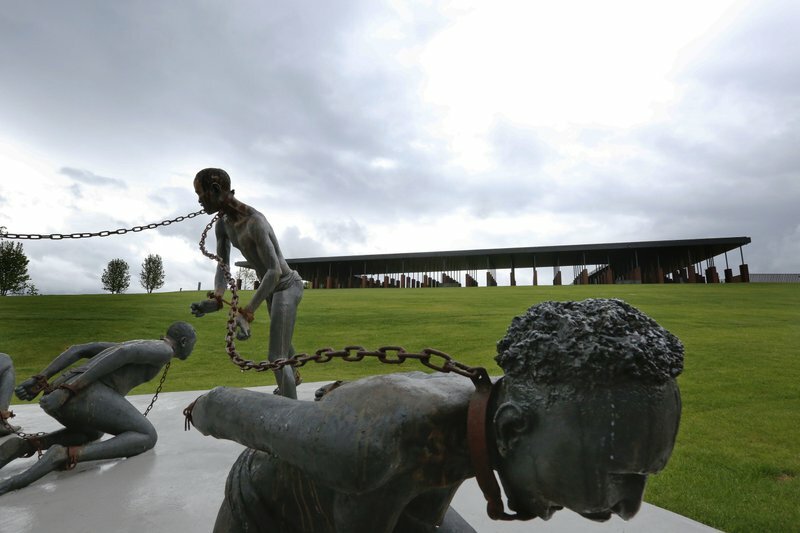 The new museum and memorial frame slavery as part of a greater illness that is white supremacy. 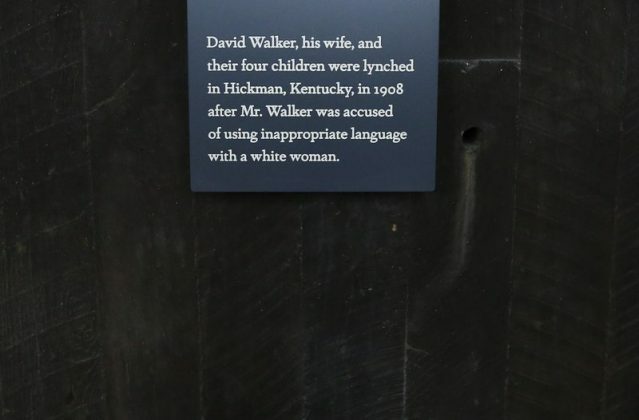 Lynchings were brutal extrajudicial murders of black men and women used as a form of social control and this museum honors in some capacity those victims and proposes an opportunity for reflection in our times. As America grapples with a very bumpy political ride, the museum and memorial plays a significant role to better understand ongoing struggles for justice, racial equality, truth, and reconciliation around race in America.